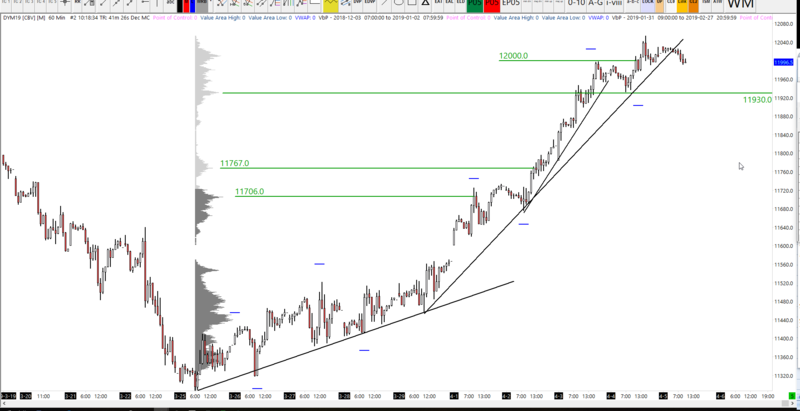 We finally found the 12,000 level yesterday with Dax futures reaching a high of 12,053. 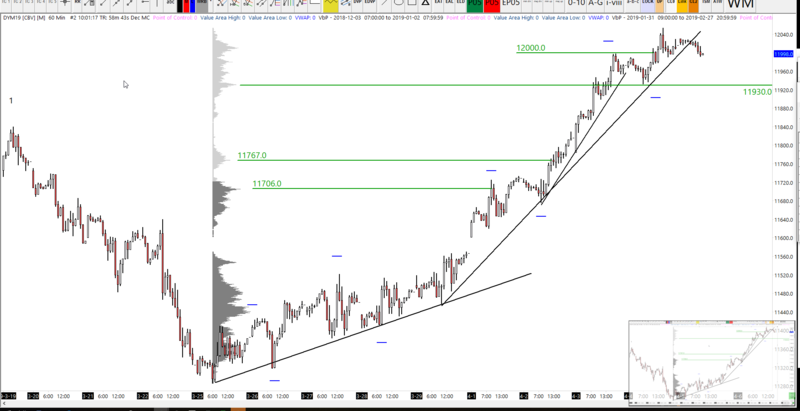 As it is NFP today, I would normally expect for price action to consolidate into a more narrow range until the release. And we are currently trading at that 12,000 level right now on futures. We have broken below the second upsloping low to low trend-line. I am wondering whether this may open up a move back towards the 930 zone. This move would be considered simple action/reaction. 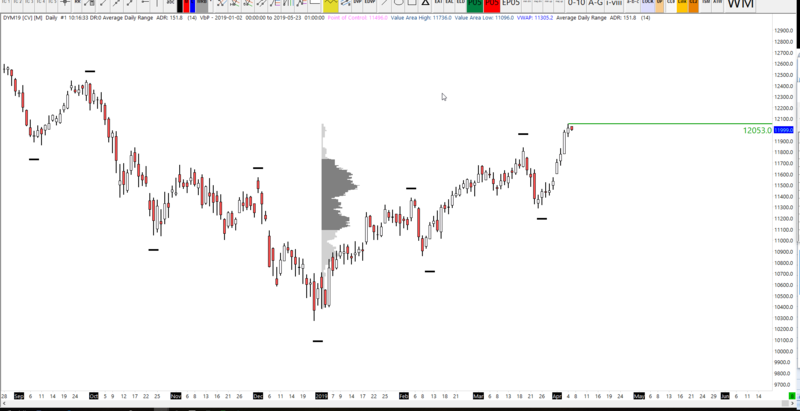 You could draw an ACR line set using that second line as the centre to predict a pullback target. I think that a retracement is now much higher probability, but you can just never guarantee anything on the Dax. Today is the first time for a few days that we have seen a break below the previous days point of control. Not only that, but we have also failed to reach the previous days value area high. 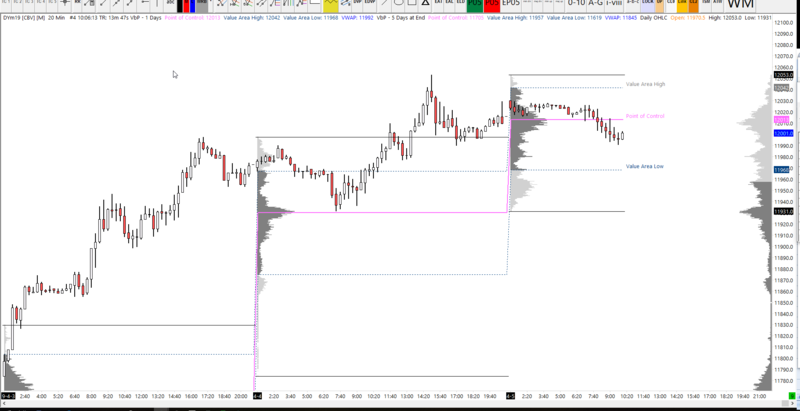 During an auction process where buyers want to defend a particular zone (in this case, 12,000), you would generally see consolidation as the market forces the participants to ‘accept’ a fair value at these levels.